Here are some well known Persian Empire kings/ Kings of Persian Empire. The Babylonians ruled the world in the sixth century B.C. Yet, afterward, in the course of about half a century, they ceased to exist. This is remarkable enough, but it is even more astounding that their successors, the Persians, did not exist before. In 560 B.C., Cyrus the Great became the king of Persia, a small state in the Middle East, and within 30 years had replaced the Babylonian empire with his own. According to the official story, the Achaemenid or Persian Empire was founded by Cyrus the Great, who became king of Persis in 559 BCE and defeated his overlord Astyages of Media in 550. King Cyrus’ son and successor, Cambyses (530-522 B.C.E. ), is mainly remembered for his conquest of Egypt in 525 B.C.E. His attempts to conquer the Nile further south and the desert oases of the Sahara met with less success. Supposedly, one of Cambyses’ armies was swallowed up by a desert sandstorm. 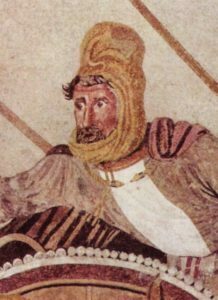 Cambyses was especially unpopular with the Egyptians, who claimed he committed various atrocities, including the slaying of the sacred bull of Apis. King is known as Darius the Great, Darius I reorganized the Persian government, won great victories in Turkey and led an invasion of Greece. But his army was defeated by Greek soldiers at the famous battle of Marathon in 490 BC. This started a long-lasting war with the Greeks that eventually brought down the Persian Empire. Invading Greece in 480 BC, Xerxes is swiftly engaged by Athens and Sparta in the Vale of Tempe and then stymied by a mixed force of Greeks led by Sparta at Thermopylae. Athens then defeats the Persian navy at Salamis, and after Xerxes returns home, his army is decisively defeated at the battle of Plataea and kicked out of Greece. The empire remained largely intact under Darius II (r. 423-405 B.C), but Egypt claimed independence during the reign of Artaxerxes II (r. 405-359 B.C). 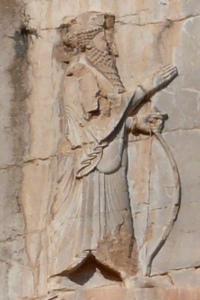 Although Artaxerxes II had the longest reign of all the Persian kings, we know very little about him. Xerxes is later murdered, as is his son and heir, Darius. 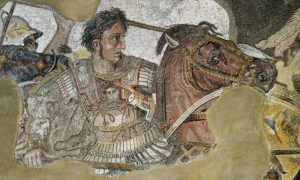 Whether he is responsible or not, Xerxes’ chief officer, Artabanus, takes control of the empire until he, too, is killed, this time by Artaxerxes I.Writing in the early second century A.D., Plutarch describes him as a sympathetic ruler and courageous warrior. With his successor, Artaxerxes III (r. 358-338 B.C), Egypt was reconquered, but the king was assassinated and his son was crowned as Artaxerxes IV (r. 338-336 B.C.). Darius and other Persian kings also adopted local titles, such as pharaoh in Egypt, to win popular support. Sometimes they also kept local rulers in power as Persian vassals, such as in the Greek cities in Asia Minor. This hopefully would ensure them more loyalty, although it could backfire if those rulers were unpopular, to begin with.